We were at Bookcon this weekend celebrating Cassandra Clare and December’s upcoming release of Queen of Air and Darkness. 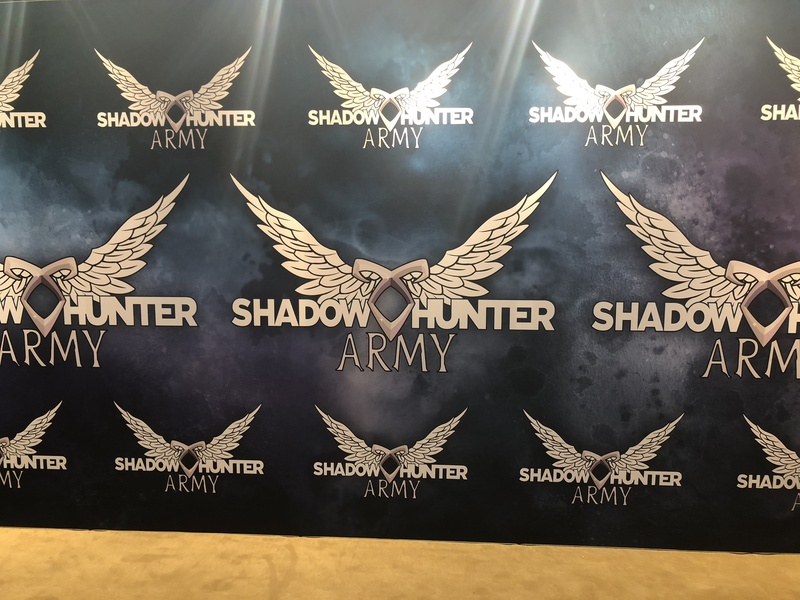 There were fun giveaways from Simon & Schuster, including beautiful Shadowhunter Army bags, Shadowhunter Chronicles pop sockets and pins, Magnus Bane plushies, and Queen of Air and Darkness chapter samplers. On Saturday, Cassie had an autograph signing and two panels, including a Dark Artifices panel, where she teased the final installment of the series, Queen of Air and Darkness. The structure of this book will be different from the others because of the events of Lord of Shadows. Oh, and in case you thought Cassie would ease up on the pain and tears in Queen of Air and Darkness because of that scene in Lord of Shadows, you’re sadly mistaken. Prepare for more pain and tears! Queen of Air and Darkness will be released Dec. 4.